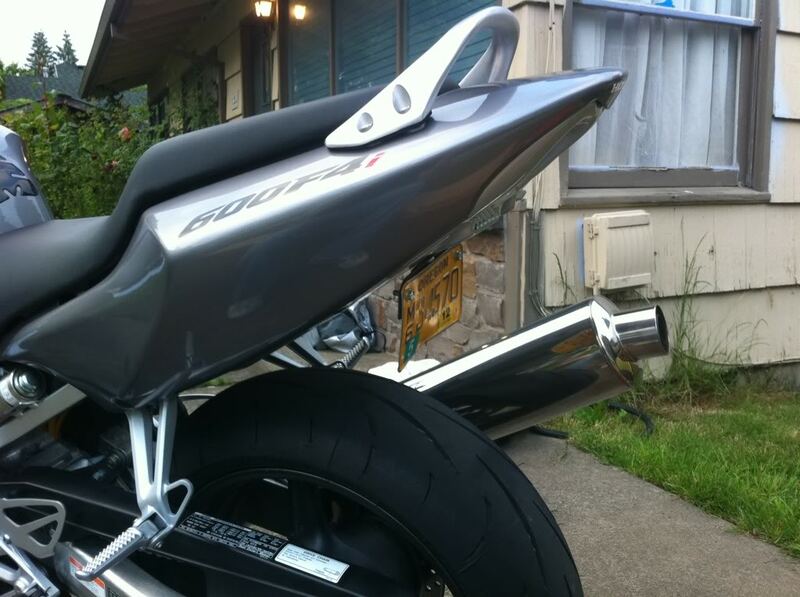 So I installed the under tail in the pic on the bike and for the most part everything fit together nicely. I purchased it off eBay, from china, so I had my doubts... Anyways all is well unless I go down a really bumpy road (and by bumpy I mean like rolling bumps that get the back shock working) or if I have a passenger on the back the problem is that the license plate keeps hitting the back tire. it happens when I accelerate or hit minor bumps with a passenger and sometimes even when I'm alone. the plate mount came with the under tail, and you can see it's nothing special. I need some suggestions on what to do... relocate the plate? different plate mounting bracket? other suggestions please. pics posted so you can see what I'm talking about. bend the plate...........mine wasnt hitting its just i fund it more appealing. Are you sure that your bracket isn't on backwards? ^^^ thats what im thinkin by looking at it. flip that bracket around and your problems should be solved. so tried flipping it around like you suggested and the plate was to horizontal to actually even see it. 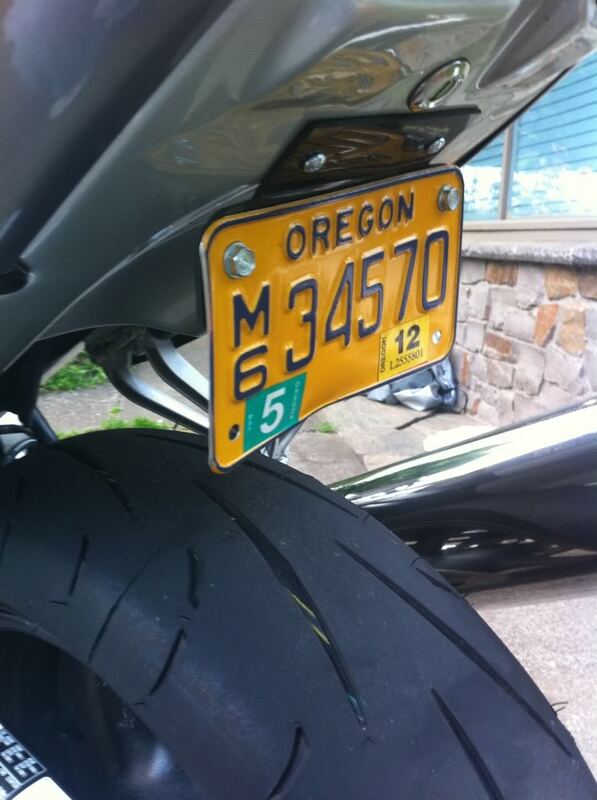 If I find a different plate mount that holds the plate like gotcbr posted I should be fine. until then i just bent that **** back enough so it wont smack the tire anymore. 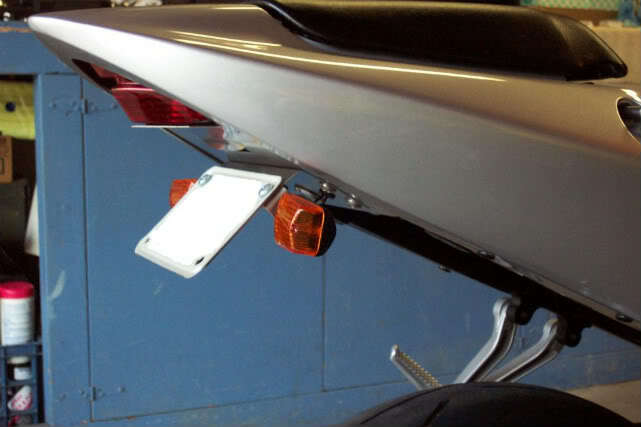 Got 2 small L brackets from Home Depot and mounted my plate directly under the plate light. Don't think it comes anywhere near the tire. EXACTLY what I did, and looks as clean as possible! to be honest that why I don't buy China products especially for bikes.. the motto has always been "You get what you pay for" just my 2 cents... pretty bike though ! IMO this is the best thing to do. 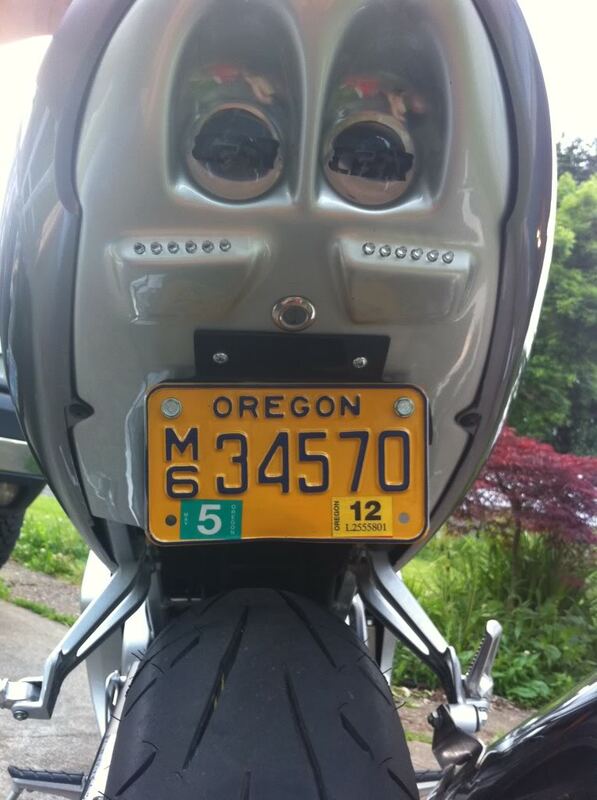 Most states have a "visible from 50 feet from the rear" law. 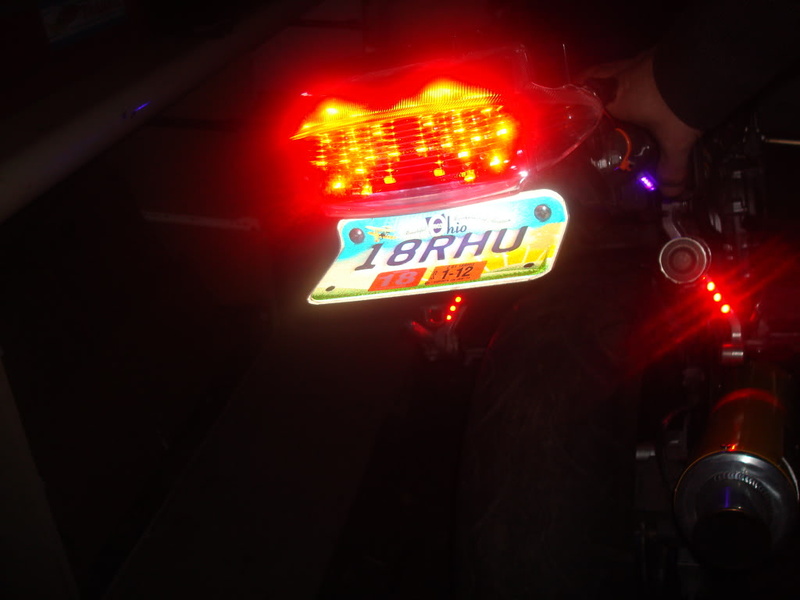 So as long as the plate is visible and readable from 50 feet from the rear of the bike, day or night(illuminated), you will be okay. Also it could kind of act like a small mudflap, but since yours is more towards the top of the tire, it looks like it might not keep dirt and crud off, maybe.